Born and raised in the Green Mountains of Vermont, Erik graduated from a small town high school in 1990. He attended the Art Institute of Atlanta receiving a Media Arts/Audio Engineering degree. 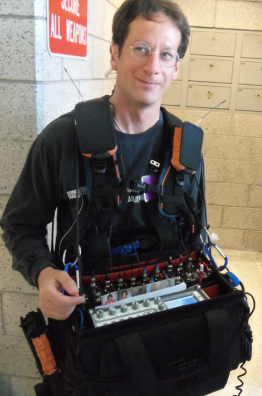 Eventually he returned to New England, and started working for WCAX television, a CBS affiliate in Burlington. Networking, hard work and a fair amount of serendipity have found Erik working as a Videographer/Editor. Directing local commercials, political and news promotions, both topical and image campaigns. 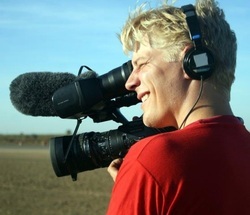 He has also branched out into the independent filmmaking field and has worked on a numbers of "shorts" and "webisodes". In 2006, he was brought aboard as Director of Photography on "Late Night Saturday" airing in Vermont and Southern Quebec. After having moved to Los Angeles in 2008, Erik has worked as everything from PA and Grip, Sound Mixer to DP and Director. In 2012 he began working for the 3rd time with Arnold Shapiro Productions on the latest incarnation of the classic documentary Scared Straight. For this show, now it it's 6th season, he as branched out into Producing and Production Manager. Bryan is a music director, composer, and accompanist based in Los Angeles, California. He studied film and music composition at Denison University in Granville, Ohio before moving west. He has shared the stage with Shoshana Bean, Barrett Foa, Michael Shephard, and Jeff Marx. His original musical Victorian Courting & Zombies appeared at the Upright Citizens Brigade, the LA Scripted Comedy Festival, and the 2014 Hollywood Fringe Festival. He is a founding producer and music director for A Little New Music, a cabaret series dedicated to showcasing the latest and greatest in musical theatre. 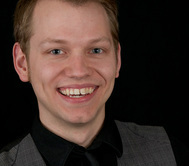 Bryan is currently on the faculty for the American Academy of Dramtic Arts and the American Musical & Dramatic Academy. Check out www.bryanblaskie.com for more and follow him on twitter at @bryanblaskie. 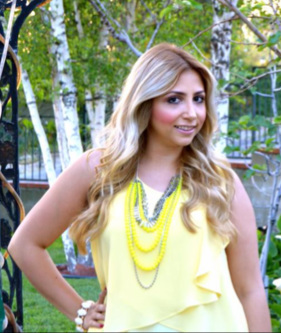 Catalina Cacho is a freelance Makeup and hair stylist in Los Angeles. She was born in SOUTHERN CALIFORNIA. Her passion for the creative arts and makeup developed at a young age. Catalina attended Makeup Designory, Los Angeles where she graduated from the Fashion Program. She developed her skills in beauty makeup, runway and fashion, bridal, airbrush, avant-garde and also hair styling. Catalina currently lives happily in Los Angeles as a freelance makeup artist where she works with photographers and producers developing her skills as an artist. Born in Armenia and raised in Los Angeles, Lilit Heidi Simonyan started showing her love for art in her early childhood. She attended art school from ages 7 to 15 and continued to venture out into the art world through her love of makeup. Lilit Heidi attended the renowned school of Makeup Designory in Los Angeles where she learned cutting edge techniques, which honed her makeup artistry skills and hairstyling skills. With extensive skills in freelancing and working with local Los Angeles photographers, Lilit Heidi is able to express her creative view through her work. Jessica Johnston had a passion for art and color at a young age. Her background in Interior Design and Fine Arts has helped her develop an understanding of color and techniques. Jessica’s interest in the makeup industry peaked when she started working for Nordstrom’s Cosmetic, since then she has cross trained in retail on numerous lines such as Smashbox, Nars, Makeup Forever, and Urban Decay. After freelancing in the beauty industry for quite a few years in the Midwest Jessica decided to follow her dreams and move to Los Angeles. She has been dedicated to pursuing a career and making a name for herself in the beauty and film/television industry. Since graduating from Make Up Designory’s Makeup Artist Program Jessica has been perfecting her art by freelancing and assisting.